With a background in gardening, sculpture, and photography, he entered the floral industry in 1996. He is a Certified Professional Florist on the national level. He has been published in the 2012-2013 International Floral Art Annual, Spring 2013 French magazine Nacre, and the book 50 Mile Bouquet. Arthur is also involved with the Floral Association of the Rockies and Ikebana International. Excited to be a part of this event at the Exdo Event Center on December 1, 2013. Arthur is in the 2013 Rising Star the Colorado competition for cutting edge design in the Floral/Fragrance category. Here’s his listing: Arthur Williams, Finalist on the Rising Star site. The event is on Friday September 6th 2013 • 6pm to Midnight. Arthur’s career and adventures in floral design are featured in this brand new Denver Post Article. 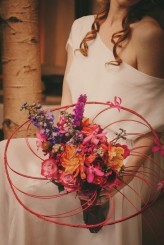 Babylon Floral was happy to do the flowers for a photo shoot recently featured in Rock N Roll Bride. Wedding photographer June Cochran opted to have her latest project shot inside, at night and with a warm cosy vibe. 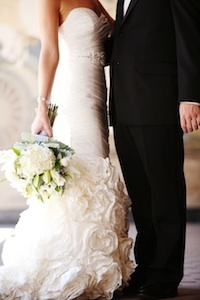 See more from the shoot at Rock N Roll Bride. Oct 2012 at the Devil’s Thumb Ranch a unique mountain wedding featuring “wildflower” bouquet from Babylon Floral, decorated doors, succulents for centerpieces and a stunning red wedding dress. Photography by Harper Point Photography. Black Tie Wedding in Downtown Denver at Kevin Taylor’s at The Opera House. 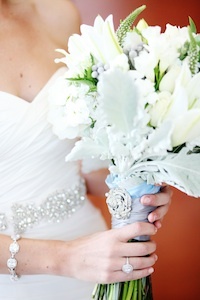 Here’s a link to see more pictures from this sophisticated yet fun wedding with flowers by Babylon Floral. © 2019 Babylon Floral Design Blog. All rights reserved. Theme by Solostream.